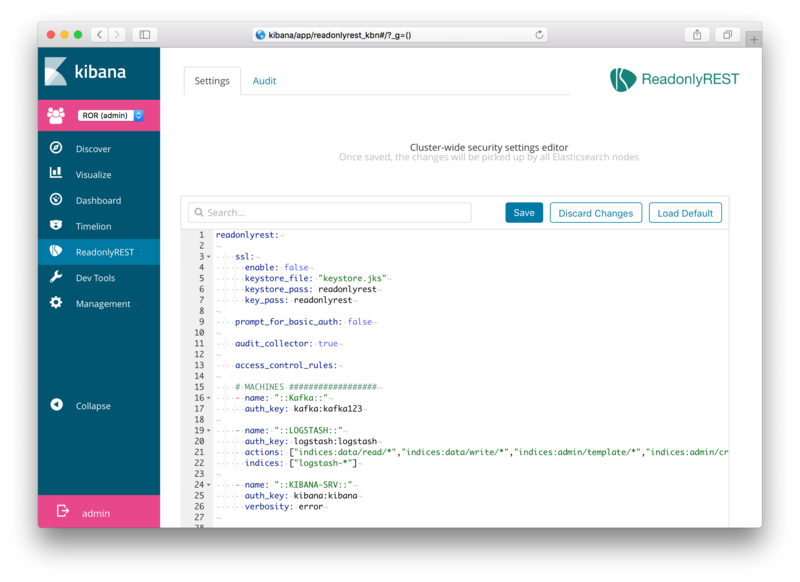 Security for Elasticsearch and Kibana, done right. ReadonlyREST is an enterprise ready security solution for the Elastic stack. management and computing resources than creating a new cluster for each customer. In addition to our famous opensource Elasticsearch plugin ReadonlyREST Free, check out our PRO and Enterprise plugins if you want to achieve a multi-user and multi-tenant, and greatly enhanced Kibana user experience. Because security is a process, not a product. New builds with fixed vulnerabilities and new features keep coming every 3-4 weeks. Yes: four weeks. Moreover the period has never been a problem, we can adjust and follow up your validation process closely to ensure smooth on-boarding. When you subscribe, we won’t bill your card until the 30th day. You can cancel anytime. If you do not posses a suitable credit card for the trial and want to be enrol to the trial, please send us an email to [email protected], we will help you on your preferred way. The Elasticsearch plugin has GPLv3 license, is this intentional? Yes. If it’s too restrictive, just go for the Embed contract. If you depend on an OSS security tool commercially, it’s in your best interest to keep it well maintained and existing. See it as a mandatory sponsorhip to the project. Responsible of Operations, Encevo S.A.